Award plaques are a great alternative to reward your colleagues or students. Although a pay rise or a promotion goes a long way with employees, why not try and improve your employee satisfaction and motivation to work hard with an award plaque. Award plaques aren’t just for the workplace, they’re also great if you’re looking to reward students at your sporting club for an exam they have passed, their commitment to the team or the hard work throughout the season. There are endless possibilities for awarding a plaque. Aford Awards, have been supplying trophies, awards and medals for over 30 years and have built a recognised reputation as a result. We pride ourselves on being one of the leading trophy suppliers and engravers in the UK market. We are also proud to offer an unrivalled approach to customer satisfaction and base our core values on the quality of our products and the quality of our customer service. At Aford Awards, we offer a range of award plaques in a range of style and shapes for all different types of achievements and occasions. Whether you have a glass plaque in mind or something more colourful like a blue plastic plaque, we have a plaque to accommodate every request. We recognise that not one award plaques fit all, that’s why our plaques come in a variety of forms and colours to ensure your awards night is a truly special occasion. Our awards plaques are manufactured using the highest quality materials to ensure your awards remain looking great throughout the years. We also use quality materials so you can rest assured that your award will be durable and hard wearing. Our quality service doesn’t end there, we are committed to offering you the best awards at the best price. If you come across an identical award plaque somewhere else online, we won’t just match the price, we’ll reduce by 5% too! For more information on our price promise scheme, you can read more here. All you’ll simply have to do is contact us to let us know and we’ll deliver our promise to you. We are proud to offer a recognised service in the award plaque engraving. Our free engraving services mean any trophy, medal or plaque of your choice can be engraved for free with a piece of text and logo. 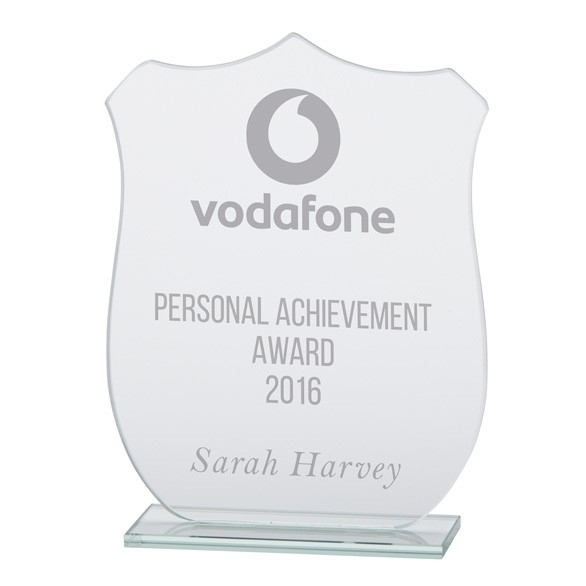 We offer our expert engraving service for free because we understand that receiving a personalised award is truly special and a significant achievement. At Aford Awards we also offer a premium engraving service, so you can have your own belongings such as watches and jewellery engraved using cutting-edge engraving equipment! If you have any enquiries about the products and services we offer, contact one of our team members online or call us on 01622 738711.